Truro Sale Room is a purpose built secure auction room conveniently situated next to the Truro Livestock Market on Newquay Road, Truro, Cornwall TR1 1RH where there is ample free parking. 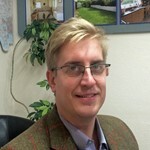 Carl is experienced in identifying, valuing and selling antiques, fine art and general furnishings. Carl grew up in Frome, Somerset but moved to Cornwall to study Fine Art at Falmouth College of Art and Design, where he met his wife, and then worked at several well known national and international sale rooms in the South West before running the Truro Sale Room for Lodge & Thomas in 2014 developing the popular on-line antique auctions. Carl has a passion and skill for drawing including portraiture and landscapes and sings tenor in a male voice choir.